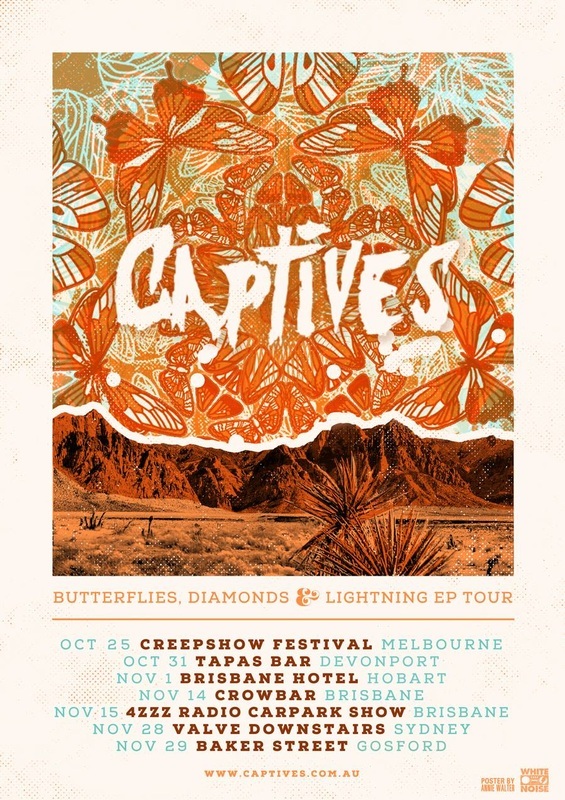 Tasmanian Forest Horror fellows Captives intend to continue their pilgrimage along Australian highways, announcing a new tour in the wake of the release of new EP Butterflies, Diamonds & Lightning. 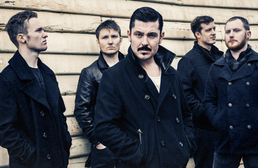 These guys have established themselves as one of the nation's most captivating live acts of the punk/rock variety, quickly dominating live slots alongside such local luminaries as Hard Ons, Tumbleweed, Gay Paris, The Snowdroppers and garnering deserved sonic comparisons to The Bronx and Motorhead. A recent riotous showing with Shihad at Rolling Stone's Live Lodge at Melbourne's Workers Club left punters supremely stoked, a general agreement that this is a local act on the up and up. Incredible for a band that's not yet celebrated it's second birthday. Butterflies, Diamonds & Lightning is a five track joyride of breakneck intensity and a showcase of impressive rock chops. Produced in Melbourne by respected rock guy Tom Larkin (Shihad, Calling All Cars, High Tension), Australian Musicians Network have hailed it "pure, unforgiving punk rock with a bold edge that demands your ears". Ripping single Insomnia has also (understandably) scored some serious radio support from triple j and community radio nationally. No nonsense, maximum volume, charismatic rock shows are coming to a sweaty club near you through October and November.